An MSSP brings a unique set of strengths to your overall security strategy. A managed security services provider (MSSP) can accelerate your time-to-value with security, as they bring a mature set of standards, processes, and procedures to the table, benefiting your security maturity level as well. Standout MSSPs will offer management, administration, monitoring, response, and reporting as it relates to the security incidents throughout your enterprise. These critical areas of security can become overwhelming for an organization that is scaling up, or is already mitigating existing risks. One benefit of using an MSSP today is that the managed security services provider becomes an extension of your existing team. You can augment your current IT staff with the expertise of certified and trained security engineers, analysts and consultants within the managed security provider. 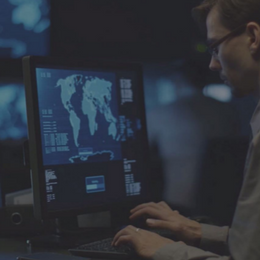 Bringing this manpower, brainpower and increased capabilities, an MSSP enhances a strategy focused on “Defense in Depth”: building layers of security to mitigate threats and vulnerabilities. Other benefits include lower costs, elevated expertise, access to cutting-edge technology, and the experience and knowledge from a team of security consultants that will guide you through incidents as they arise. An MSSP will bring the perspective of their entire client base to bear on topics of interest within your organization, with exposure across industry verticals and geographies. In this blog, we will explore five key considerations and areas for selecting your next managed security services provider. If you choose MSS, the provider should have the highest knowledge and expertise within the industry related to cyber security strategies, the latest threats, and vulnerabilities, provide proactive research on current threats, and keep your company protected from evolving attacks. Moreover, make sure that the companies you evaluate have a sole focus on MSSP beyond basic security services. If the security services are not a core part of their business strategy (ex. 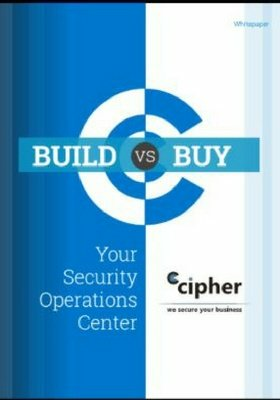 IT value-added reseller companies with a small security focus), they may not continuously invest in security and their customer’s security, for that matter. You should ask questions to find out what percentage of revenue comes from their managed security services. The answers will quickly uncover whether they are a reliable or not. A managed security provider should have a thorough understanding of various compliance and regulatory standards, such as PCI DSS, HIPAA, FISMA, SOX, and FFIEC. With a constantly evolving regulatory environment and evolving threat landscape, it becomes very challenging for an organization to stay ahead of the curve. Therefore, using an MSSP that has skilled and certified security consultants that understand the impacts of these standards and accurately apply the right security strategies to the organization is critically important. 6 Reasons to Adopt an MSSP. Get the Whitepaper. Some managed security providers will claim that threat detection and response are not capabilities due to the high volume and variety of log sources required to detect threats. A qualified MSSP will have the infrastructure to ingest these logs. The managed security provider should have the technology and infrastructure to support threat detection and response by allowing change management on your systems and providing you with alerts. If the MSSP can offer managed detection and response, this will be the highest value proposition for managed security services for your organization. You can be assured that threats and vulnerabilities will be remediated within a given service level agreement (SLA) period defined within your contract. Any legitimate MSS should own and manage their Security Operations Centers (SOCs) and should operate on a 24x7x365 basis. If you find a managed security provider that does not provide this level of coverage, you should be leery of the support offered and how timely the incidents are resolved. An MSSP’s dedicated infrastructure should be built with the latest technologies to support analysis, correlation, and prioritization. Ask your potential vendor what types of infrastructure makes up their Security Operations Center, so you have a good understanding of their operations. Your IT team will also need instant access to the company’s managed security. A qualified provider will have a dashboard-ready portal that showcases your security environment in a snapshot. This management view will provide you an understanding of what’s happening and allow your IT staff to monitor security posture at a glance so they can focus on more strategic initiatives. You will want to find out if your MSSP can support existing systems or can provide new technology and process to accelerate your security maturity. Managed security services offers technologies that will complement your environment and add value to your network and gateway, firewall management, intrusion detection and prevention, endpoint protection, anti-virus, security analytics, managed SIEM, vulnerability and compliance management, and more. The security provider should be a source of operational and procedural best practices. In addition, an MSSP with a holistic view of your business environment will offer security consulting services that address vulnerability assessments, pen testing, security model reviews, framework adherence, regulatory audits and certifications, and more. An MSSP recommended by customers globally and recognized by industry leading awards will validate the capabilities of the vendor you select. Look for a managed security provider that received recognition from the industry, analysts, annual rankings, and awards. If the company has won awards for their security services, you can feel more confident in the decision selecting this MSSP. If you are going through the process of researching an MSSP, take a look at CIPHER’s 24x7x365 Managed Security Services. CIPHER has been recognized by Frost & Sullivan for the last several years for its security services and continues to delight customers each year with a growing global customer base.